Have You Heard Of the General Motors Ranger Brand? We know the readers of this website are keen General Motors experts, but we’ve come across a little known piece of GM history that some may have never heard before. 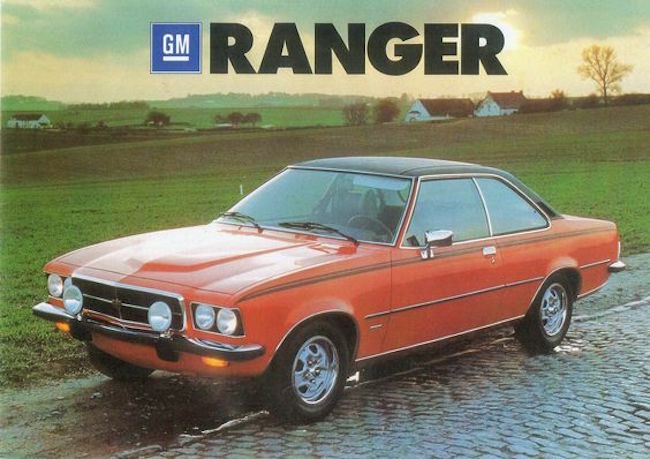 We have to credit Jalopnik for turning us onto the story of the General Motors Ranger brand – a short-lived GM sub-brand that was developed for South Africa and also sold in Belgium and Switzerland. 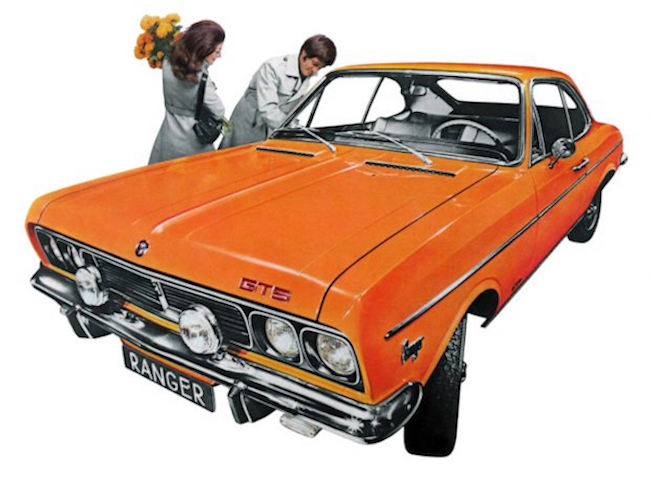 It launched in 1968 with the creatively named Ranger A, which appears to have been based on the Series C Opel Rekord. Another model joined the brand’s lineup at the 1971 Geneva Motor Show with the debut of the Ranger B, which shared a body and other components with the Series D Opel Rekord. Both models were offered as two door coupes, two door saloons or four-door sedans, with dealer availability for each model varying by market. The cars were also built in the local markets where they would be sold. The General Motors Ranger brand’s existence is certainly confusing. Why did GM need a separate brand for South Africa? Why did they choose to then also manufacture, market and sell those cars in Belgium and Switzerland specifically? The press was equally as confused about in the 1970s, Jalopnik points out, coming away from a media drive not really knowing what to make of GM’s latest branding experiment. The cars look cool enough, though. We have a particular liking for the Ranger B GTS Coupe – which featured a twin-carb, 140 hp 2.8-liter inline-six and some sweet grille-mounted rally lights. Lesser models offered a 1.7-liter or 1.9-liter four-cylinder or a 2.5-liter six. After 10 years , the General Motors Ranger brand out and began selling Opel and Vauxhall vehicles in South Africa, Switzerland and Belgium instead. It joins many other departed GM brands in the history books, but unlike some of the other badge engineering projects GM worked on, not many people are calling for Ranger to make a return. We maintain that Ranger GTS Coupe is still pretty sweet, though. Original GM marketing material via Boitier Rouge. Can we get a race version sponsored by Mustang Sampling? The Ranger was created in South Africa because the SA Government had mandated that cars have local content. GMSA had a dual franchise system where one group of dealers, heavily dominated by the Williams Hunt Group, sold Chevrolet, Opel and Holden and the other franchise selling Pontiac and Vauxhall. Because of low volume, GMSA could not justify selling similar sized cars that involved different body pressings, so the Ranger replaced the Vauxhall Victor which did not have a particularly good reputation. Soon after the Ranger’s introduction, GMSA abolished the dual franchise system. Another means to achieving local content was the manufacture of Chevrolet based engines in 1.9, 2.1, 2.5, 3.2, 3.8 and 4.1 litre capacities, the first three being 4-cylinders. The 4-cylinder units were variants of the Chevy II 153 cu. in. engine. The Ranger only received the 2.1 and 2.5 engines but subsequent Opel based models received the larger of the two sixes. These details and far more can be found in my three-volume book called “On a Global Mission: The Automobiles of General Motors International”. There is a list 10 pages long of the various names like Ranger that were shared across GM and affiliate platforms around the world. I even record the same basic vehicle that had both a Chevrolet and Ford name, the Chevrolet Carry and Ford Pronto. Ever heard of the Dunny-door? Yep, the Holden Commodore, pronounced by Bogan’s, comes out “Commode Door”, and of course cockney rhyming tradition demands the transformation to Dunny, Aussie lingo for toilet. 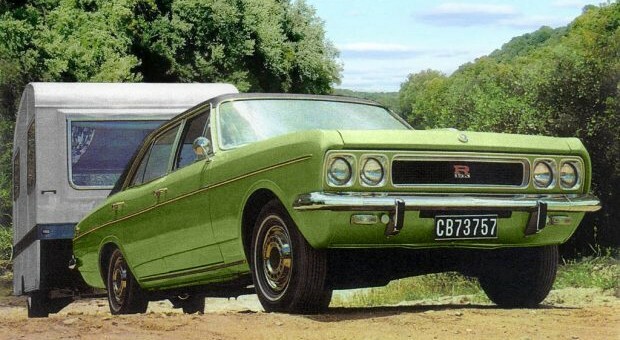 As far as Belgium, The Netherlands, Luxembourg and Switzerland is concerned (the 4 European countries where the Ranger was offered): in the late 60s and early 70s GM sold both Opel and Vauxhall in the countries, next to the US brands. The dealerships were usually either Vauxhall or Opel, but especially the Vauxhall dealers had difficulties selling enough to survive. The Swiss GM headquarters therefore decided to import Ranger parts and mount them on Opels and subsequently sell them through the Vauxhall dealers. The Opel name was removed and the car was marketed as the “car built with the best components available in the GM family”. Components came from South-Africa (Ranger-specific body panels), France (the automatic gearbox), Germany (the technical parts) and England (the headlights), and the car was assembled in Antwerp at GM Continental. At launch, customers received a box containing the following spirits: SA wine, French wine, Swiss Kirsch, German beer, Belgian beer, English whiskey, and in The Netherlands also Dutch brandy, to accentuate the international character of the car.